Professional headsets are evolving faster than any other type of business communications endpoint, and we’re entering a new era of wearable technology. Frost & Sullivan's recently completed global professional headset study provides an extensive analysis of the major trends shaping the industry. Read on for some of the key findings of our research. The global professional headset market earned revenues of $1.23 billion in 2017, which represented 5.7% growth when compared to 2016. All major professional headset vendors reported healthy growth levels in 2017, driven by new product announcements and improved overall execution. The productivity benefits associated with professional headsets, the proliferation of software communications and collaboration services, and a noticeable increase in cordless headset demand have been the major drivers behind the growing penetration of headsets in the business environment. In 2017, professional PC USB and UCC headset sales grew a notable 15.6% to reach $707.7 million, representing 57.5% of total professional headset revenue. Demand for PC USB and UCC headsets was mainly driven by continued growth in the software communications and collaboration market, as well as the increased sales of advanced binaural Bluetooth/USB headsets with high-end noise-cancelling technologies in the microphone and earcups targeted at task workers. In 2017, professional cordless headsets grew by 10.2% to $643.3 million, whereas professional corded headsets grew by 1.1% to $586.6 million. Demand for wireless connectivity, in general, continues to grow along with technology improvements in wireless products, expanding the overall opportunity for professional cordless headset sales. Frost & Sullivan expects the global professional headset market to grow at a CAGR of 9.9% in terms of headset units sold and 8.0% in terms of revenue over the 2017-2024 time period. Innovation in the professional headset realm has never been stronger, with several product announcements featuring advanced active noise-cancelling technologies, improved connectivity, newer form factors, and a growing array of built-in features and capabilities. Some of the most notable professional headset releases within the last 16 months include Plantronics' Voyager 8200 UC, Blackwire 3200 Series, Blackwire 5200 Series, and Voyager 6200 UC; Jabra's Evolve 75, Evolve 75e, and the customer service-centric Engage Series (see more). Innovation also continued on the software-as-a-service front, with vendors continuing to enhance their endpoints management services to boost their overall endpoints value proposition. Going forward, innovation in the professional headset realm is going to be mainly inspired by innovation on the consumer side in fields such as wearables, hearables, Internet of Things, artificial intelligence, and augmented hearing (see "3 Headset Trends to Watch: Wearables, Smart Devices & Beyond"). 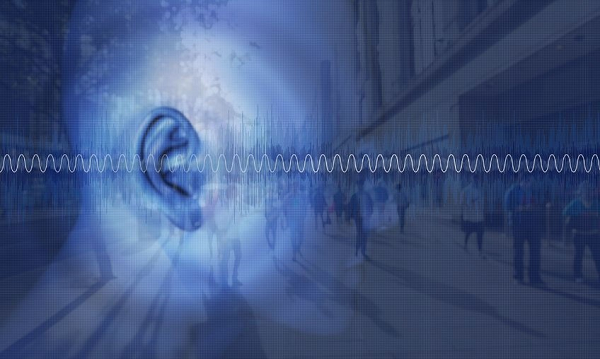 Today, professional headset vendors are closely monitoring emerging companies making an impact on the hearable space, introducing newer form factors (e.g. binaural neckband, true wireless ear buds, etc. ), enhanced smart sensor technologies, voice assistant support, real-time language translators, menu control via head gestures and verbal commands, augmented hearing technologies and other types of capabilities in order to enhance their overall value proposition. Professional headset model customization in terms of product form factor, connectivity, and functionality is expected to help more effectively address diverse office worker needs. The global professional headset market is becoming increasingly competitive, with more and more enterprise communications endpoints vendors either considering the launch of professional headsets as part of their portfolio or already offering new headset models to the market. In March 2018, Cisco launched its own line of professional headsets clearly showing that the vendor is looking to capitalize on the considerable growth opportunities in this space. Additionally, Danish company RTX recently created a new line of DECT headsets and is offering original equipment manufacturer (OEM) partnering opportunities for the design, development, and production of its wireless units. As software communications and collaboration services continue to gain mass popularity and usage among office workers, more enterprise communications providers are evaluating OEM relationships to resell professional headset products under their own names and branding. Last but not least, while Plantronics, GN Audio, and Sennheiser Communications are still the dominant brands in each international theater, some regional vendors have been gradually growing in their respective territories, mainly due to their ability to better address local needs and requirements. Some examples include Dasan Electron in Asia Pacific, Hion in China, Addcom in Australia, Telekonnectors in India, Nagatsuka in Japan, and Felitron in Latin America, among others. Competition in the professional headset market will continue to gradually increase with more technology vendors addressing the business space. The professional headset market is offering expanding opportunities for enterprise communications and collaboration vendors. Existing headset manufacturers, as well as new headset providers, need to continuously augment their product portfolios and adapt their strategies in order to enhance their brand power and boost demand. For additional research on the professional headset market, please contact me at [email protected].